Arable field margins, and other field margins buffer ditches, rivers and streams from agricultural activity and pollution, and provide valuable wildlife corridors, allowing wildlife to move freely between habitats. Importantly they can be managed to promote biodiversity. crop-nesting bird species for example: corn bunting, reed bunting or lapwing. a range of wild crop-plants. Strips of land around arable fields between crops and field boundaries, are sometimes deliberately managed to benefit key farmland species. They are excluded from crop spraying and other similar activities.. The wildflowers in field margins are important sources of nectar and pollen for bees, wasps, hoverflies and butterflies. Grasshoppers and beetles take cover in the grasses, along with many beneficial predators, such as spiders and ladybirds, which feed on crop pests like aphids. Field margins can provide refuges for brown hares, harvest mouse and other small mammals, such as field voles, which attract barn owls and kestrels. They also offer nesting and feeding sites for birds such as corn bunting, skylark, linnet, tree sparrow and grey partridge, all of which are identified as priority species. There are also a number of arable crop wildflowers. These are of conservation concern because of enormous national declines in their distribution and abundance. Overall, some 300 species of plants can occur along arable field boundaries and hedgerows. Arable field margins are a local priority habits because of the importance in supporting wildlife. Arable field margin is a UK BAP priority habitat. ‘Arable Field Margin’ is a general term referring to herbaceous strips or blocks of land around arable field, lying between crops and the field boundary, that are deliberately managed to benefit key farmland species. Cultivated, low-input margins. These are areas within arable fields that are cultivated periodically, usually annually or biennially, but are not sprayed with spring/summer insecticides and not normally sprayed with herbicides (except for the control of injurious weeds or problem grasses such as creeping thistle, black grass, sterile brome or wild oat). Cultivated, low-input margins include conservation headlands and land managed specifically to create habitat for annual arable plants. Margins sown to provide seed for wild birds. These are margins or blocks sown with plants that are allowed to set seed and which remain in place over the winter. They may be sown with cereals and/or small-seeded broad-leaved plants or grasses. Areas sown with maize are excluded as they are of lower value for wild birds. Margins sown with wild flowers or agricultural legumes and managed to allow flowering to provide pollen and nectar resources for invertebrates. Margins providing permanent, grass strips with mixtures of tussocky and fine-leaved grasses. Areas of grass established as cross compliance requirements (see below) are excluded from this definition, but all other strips of grassland created by sowing or natural regeneration, such as field margins or beetle banks, are included. The types of field margin included within the definition of the UKBAP priority habitat are also included in the local priority habitat. Sparsely vegetated nesting sites maintained in large arable fields from March until July for lapwing and other ground-nesting birds. Low grassy mounds, about 2m wide, running the length of large arable fields, provide overwintering habitat for many insects and spiders and habitat for ground nesting birds and small mammals. Mammals found in field margins include hedgehog, brown hare, harvest mouse, as well as mice, voles and shrews. Amphibian: Common toad, Great Crested Newt. Invertebrates: bumblebees, wasps, butterflies; grasshoppers, beetles, spiders. Arable field margins will be considered as local wildlife sites if they are ≥50m in length and ≥6m wide and have a good assemblage of flowering plants or support a good population of wildlife species. No sites have been designated on this basis at this time. Raise awareness of the importance of field margins for biodiversity. Review the extent of extent and quality of arable field margin management in Barnsley. Promote and support good field margin management practice to improve biodiversity, including through countryside stewardship. Promote re-creation of arable field margins as opportunities arise. Encourage restoration and improvement of degraded arable field margins. No loss of existing quality field margins. Numbers and extent of field margins in ‘favourable condition’. Creation of low input cultivated, permanent grass, flower rich and wild bird seed arable field margins. Participation in countryside stewardship schemes. Landowners, and in particular those that cultivate their land: introduce and manage field margins for wildlife. 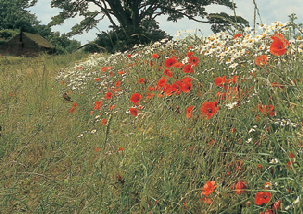 In planning decisions Barnsley Council can also set conditions to ensure that the biodiversity value of existing field margins is maintained and potentially enhanced. Natural England administers the Countryside Stewardship Scheme which offers voluntary 10-year agreements for managing and restoring farmland habitats including field margins. 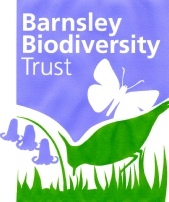 Local naturalists, groups and volunteers can help provide records to the Barnsley Biological Record centre of the condition of field margins and the wildlife species found there. Intensification of cereal production - including the use of herbicides to produce a weed free monoculture, and the summer use of insecticides, both of which are a threat to biodiversity. Winter cropping - the loss of winter stubbles associated with the shift towards winter sown crops. Lack of rotational land covers - cereals not being produced in rotation with other land covers (such as grass leys and fallows) has had a negative impact on many species. Reduction in the undersown area - undersown cereal crops are important for overwintering sawflies, but their use has reduced in association with the switch to winter sown crops. Lack of management. Grassy field margins are retained by some farmers to act as buffers to cereal fields but management is often minimal. farmers support the natural environment, whilst farming productively. There is no specific legal protection for arable fields or arable field margins supporting notable wildlife. However, many such species which use such land are protected by law, eg from disturbance during nesting. Under the Food and Environment Protection Act 1985 it is illegal to spray pesticides into hedge bases unless there is a specific label recommendation or off-label approval. Voluntary measures for supporting natural environment, whilst farming productively.